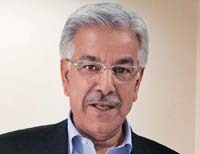 ISLAMABAD, May 15 (APP): Minister for Water and Power Khawaja Muhammad Asif on Sunday said that the incumbent government was committed to cope with energy shortage on priority basis. projects in the next fiscal year, Radio Pakistan reported. generation capacity and to get rid of load-shedding from the country.